Every week, 5e projects kickoff crowdfunding campaigns and, in this column, I’m talking to creators about what makes their projects unique. For the first article, Scott Fitzgerald Gray discusses “The Hidden Halls of Hazakor”. Scott is a freelance writer, editor, and designer, whose efforts include editing on all three core rulebooks for D&D 5e as well as a string of other accomplishments. EGG EMBRY – Thanks for taking the time to talk about “The Hidden Halls of Hazakor”. Can you give us the quick pitch? SCOTT FITZGERALD GRAY – “The Hidden Halls of Hazakor” is a 1st-level starter D&D adventure, aimed not just at beginning DMs (as most starter adventures are) but at young, first-time DMs. 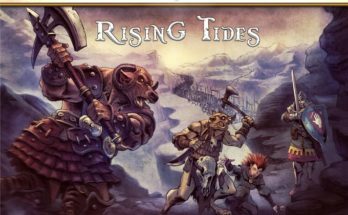 The nominal player age I’ve pitched the adventure at is 12 years old, but there’s no reason why younger gamers with a love of reading and some experience playing the game won’t be able to handle it. And though it’s written in a straightforward fashion so as to not go over those younger readers’ heads, I also think there’s no reason why older players and experienced GMs won’t enjoy it. EGG – What makes HHoH stand out from other 5e projects? SCOTT FITZGERALD GRAY – The focus on younger players certainly isn’t a new thing. That “age 12 and up” bracket is actually the nominal recommendation for all the fifth edition books and the Starter Set, and there are certainly already a ton of players of that age enjoying the game. But like I think is true for a lot of DMs, I remember very vividly how challenging — and, ultimately, how traumatic — it was running my first D&D games, even being a fair bit older than 12 at the time. Running your first campaign can be really stressful, and an initial bad experience as a DM can easily put a young player off of wanting to try to run a game again. 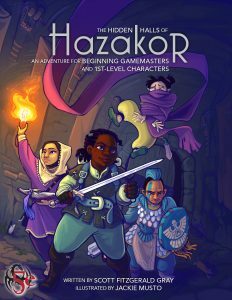 So “Hazakor” explores the process of running a classic-style dungeon crawl campaign (complete with the convenient borderland keep where the characters meet up) in a way that’s meant to be especially easy to follow for a younger player. It explains things in a bit more detail than an adventure for a more experienced DM would, and provides tips and advice for some of the things that all DMs learn over time, but which are often really hard to figure out when it’s your first time in the DM’s chair. Another thing that’s a bit unusual for many adventures is that “Hidden Halls of Hazakor” is being fully illustrated by one artist, Jackie Musto. There’s a fair bit of humor working its way through the adventure, and Jackie’s style was a perfect fit for that. The initial response to the Kickstarter campaign has been overwhelmingly positive, and so much of that is people loving what she’s doing with the art, and the “young iconic adventurers” she’s created for the project. EGG – Where did the notion of doing an adventure for young DMs come from? Is this something you’ve been working on for a while? SCOTT FITZGERALD GRAY – The adventure is actually a reworking of a piece that I originally wrote for the RPG club I ran some years back at my daughters’ middle school. So the idea has been around for a while. 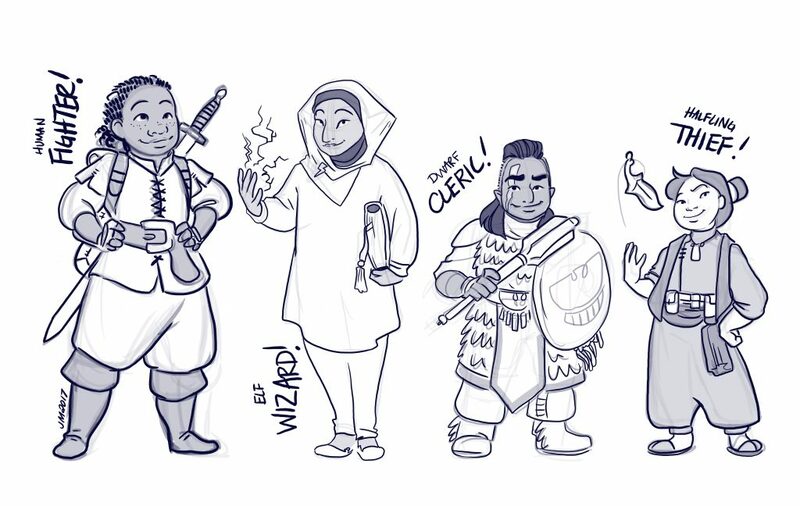 At the club, we had a lot of first-time DMs running games, and I found I was spending a lot of time drifting from table to table explaining the same things and giving the same tips and pep talks. So for the second year of the club, I wrote up the adventure specifically as a learning tool for DMs of that age, trying to address the issues I’d seen kids having at the table. 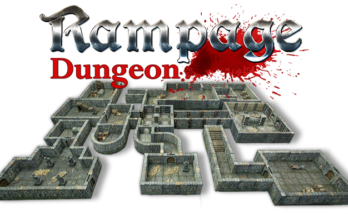 The end result of all that is that the adventure is a dungeon crawl to keep the story focused. And there are magic keys that need to be found, so that there’s a nice, safe progression from easier encounters to harder encounters as deeper areas of the dungeon are unlocked. There’s lots of advice on how to handle tricky situations, including standard things like how to deal with a character dying, and how to not get scared when the players’ decisions and actions change the setup of encounters. 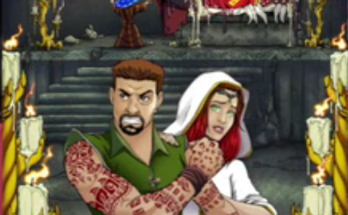 And the amount of humor in the adventure is a direct response to watching and participating in those RPG club games, because humor was always an easy way to keep younger players engaged. EGG – Thanks for sharing this with us. Where can fans find out more about “The Hidden Halls of Hazakor” and your other projects? 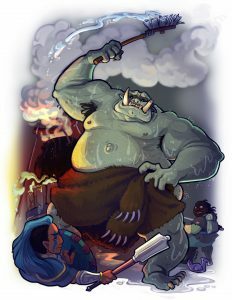 SCOTT FITZGERALD GRAY – Pretty much all the info for “The Hidden Halls of Hazakor” can be found at the Kickstarter site, both in the project overview and the FAQ section (which talks in more detail about who the book is for). My website [insaneangel.com] has info on my fiction and other gaming projects, but I’m really bad at updating it regularly. So Facebook [https://www.facebook.com/sfgray] and Twitter [https://twitter.com/scottfgray] are probably the best places to stay abreast of current and upcoming projects.